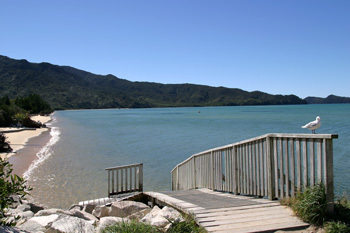 Marahau is a beautiful seaside community on the Abel Tasman National Park entrance. 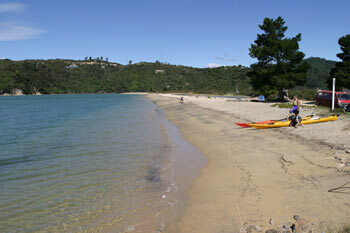 This lovely seaside village provides the starting point for many activities in the Abel Tasman. You can get a water taxi, start your sea kayaking, or begin the Abel Tasman Coastal Walk (one of New Zealand's Great Walks). Walk in to one of the pretty bays for a day trip, take a picnic and have a swim. Enjoy the native New Zealand bush, the golden sands and inviting blue green waters of the area. Why not go snorkelling or diving in the marine reserve while you're here? There are many accommodation providers in Marahau ranging from backpackers to luxury holiday homes. Bring your boat, your kids or just yourself and enjoy this beautiful part of New Zealand.